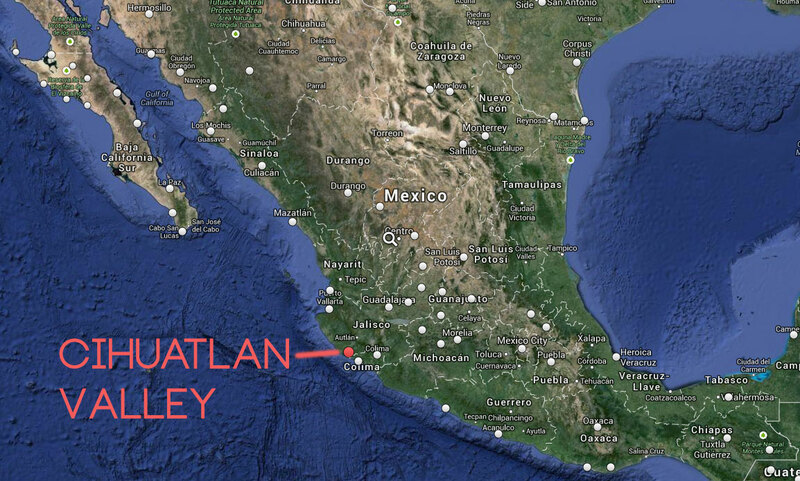 Harvesting the "Dew from the Heavens"
Coco Bueno is located on the richest soils of the Pacific Coast of Mexico. 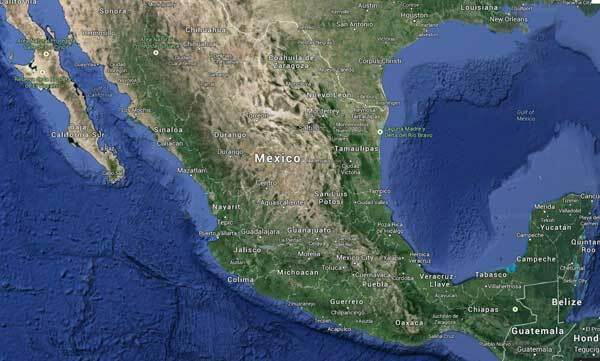 With perfect growing conditions, the plantations with our 800 growing partners provide us with the best and freshest coconuts available in Mexico. 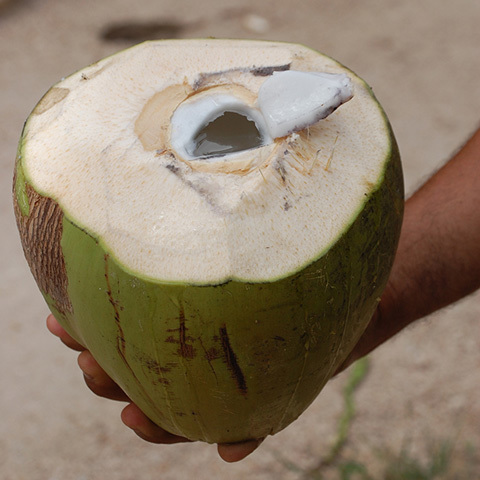 These nutrient rich soils provide us with a coconut water of incomparable taste. 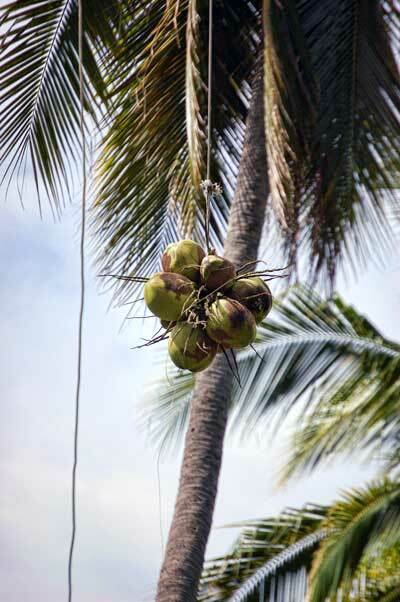 A coconut harvest is a slow and methodical process. Handpicking is very hard work but very rewarding and instrumental to our goals of a 100% Natural Product. 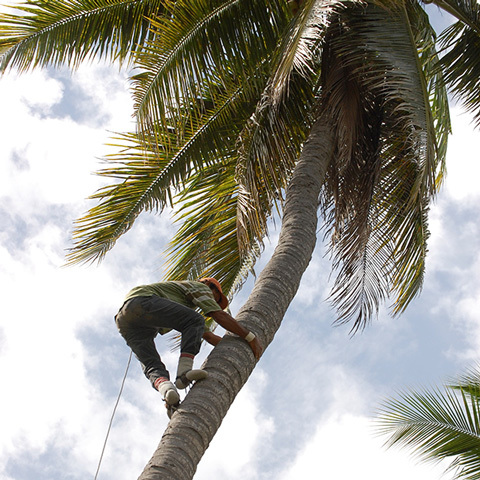 After the Plantation Supervisor has identified the cocos to be picked each day, the picker scales the palm tree using the traditional foot spikes and rope. 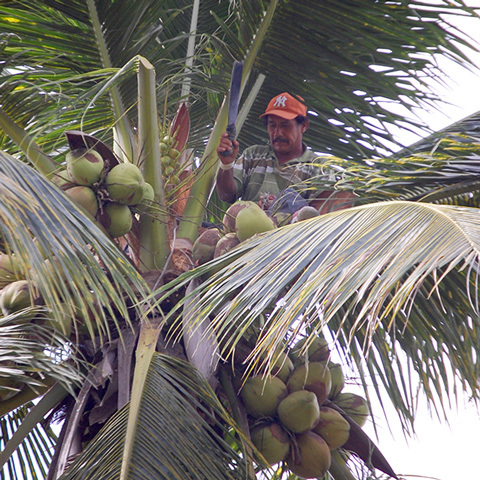 When in the tree top, he cuts off the ripe cocos and carefully lowers them to the ground by a very long rope to prevent any damage to the fruit. 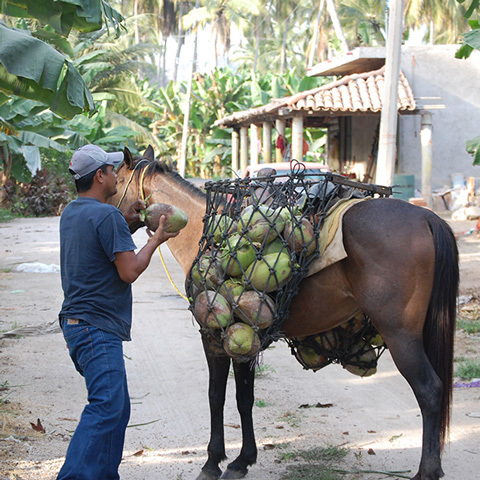 Awaiting the fresh green cocos on the ground is a (worker) with a horse who will separate the cocos and load them into nets. A horse is used in order to navigate the narrow spaces between greens without damaging the ground or root systems. The cocos are then transported by horseback to nearby trucks for transporting to our production facility located in the midst of coconut Nirvana! This process is very efficient and ensures that we get our fruit from tree to processing in a short time, preserving the freshness and taste of our coconut water.